This special Fried Pickle Mix can be found in a handful of North Carolina retail stores or ordered directly from Snack Wagon Concessions. If you’ve never enjoyed a fried pickle before, here’s your chance to cross it off your bucket list! Rhyme Time Storybooks – Jack The Cat On Chicory Ridge: Do you have a young reader on your list who’d appreciate a fun story book based in North Carolina? This rhyming young readers book, aimed at children up to age 8, showcases Jack The Cat and his dog friend Sharky (based on an energetic, real life dog). The unlikely friendship between feline and canine is further complicated … Jack thinks Sharky is a little crazy, while Sharky thinks Jack is a little lazy! So what can these two possibly do together? Read and find out … the story is heartwarming and youngsters will love it! Truzzi’s Bath & Body:: The effects of time and harsh weather often have a less than desirable effect on the glow and vibrancy of our skin. But have you ever considered another culprit is your daily cleansing regimen? What makes goat’s milk soap so special? 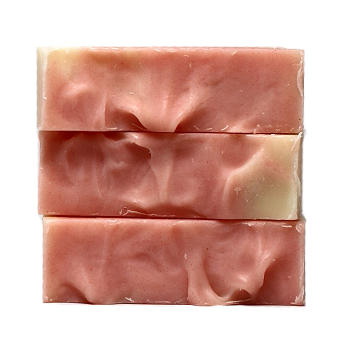 Goat’s milk has a naturally higher fat content, and soap made from rich, creamy goat’s milk nourishes your skin instead of drying it out like traditional bar soaps. Truzzi’s raises and keeps their own herd of goats and combines the luxurious milk with natural ingredients like coconut oil and olive oil to give your skin a healthy glow. Click on Truzzi’s “Shop” tab to view the entire selection of soaps, lotions, accessories, and gift items. 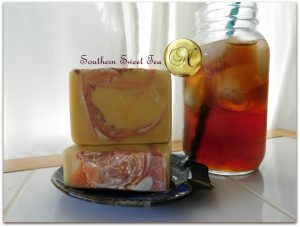 For a special one of a kind gift, opt for the sure to be appreciated “Soap of the Month Club”. 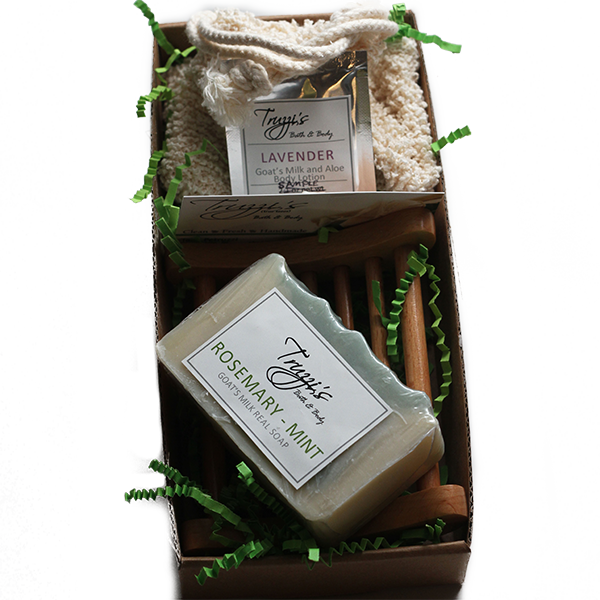 Available in six to twelve month duration, this unique gift offers you or someone special a different Truzzi’s goat’s milk soap bar and other bath and body care goodies each month, all packaged in a beautiful gift box. The perfect gift for holidays, anniversaries, birthdays, and more! If you haven’t tried goat’s milk soap before, click through and order some for yourself. Your skin will thank you! 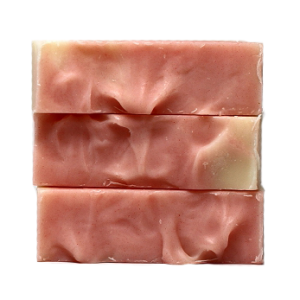 Further, unlike mass produced soaps you’ll find in large chain stores, these soaps are specifically designed to leave you moisturized, smelling great, and feeling refreshed. They’re made without any artificial chemicals or suds enhancers and as an added bonus, they’re much longer lasting too! Pamper Yourself With A Boozy Bar! The selection of Boozy Bars offers a nod to North Carolina’s burgeoning craft beer culture. 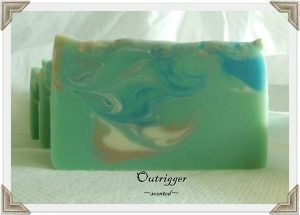 The Outrigger Bar, available scented or unscented, are created with the addition of local brewer Full Steam’s Humidity Pale Ale (a fine North Carolina brew by the way!). This delightfully creamy soap is enhanced with coconut milk and is perfect for men and women alike. We are proud to spotlight Neecy’s Necessities here on our Made in North Carolina page … visit their website, check out their full line of wonderful North Carolina made bath and body products, and go ahead and pamper yourself! In addition to tried and true flavors like Strawberry, Peach, and Raspberry, jams and preserves are also offered in specialty varieties like Black ‘n Blue (a mix of blackberries and blueberries), Blue Ridge Special (featuring mixed fruit), and many others. We were especially intrigued by a tempting offering called Smoky Mountain Special Preserves – a real fruit jam and preserve that’s a combination of strawberries, raspberries, and cherries … wow! A selection from Blue Ridge Specialty Foods makes an excellent and much appreciated hostess gift. Or, stock up for yourself and your family and enjoy the special flavors of North Carolina! Click through to their website, linked above, and shop online. Wholesale opportunities and special event labeling are available as well. 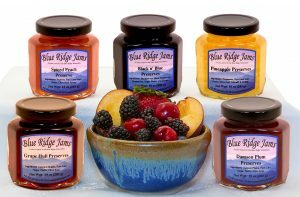 Blue Ridge Specialty Foods – A Delight In Every Bite! 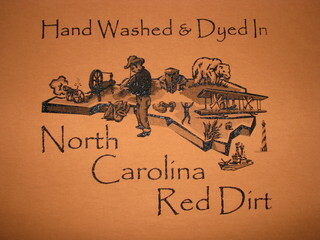 North Carolina Dirt Shirt: Here’s an authentic product from The Tar Heel State if there ever was one! It’s the North Carolina Dirt Shirt, an all cotton shirt washed and dyed in authentic North Carolina red dirt. The dyeing agent is actually the iron oxide present in the dirt, so each shirt is a true original – colors vary slightly from shirt to shirt but they’re all straight from NC soil! 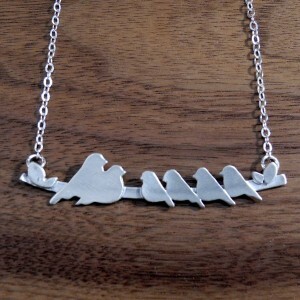 This creative product is available in seven unique designs which you’ll see at the linked page above. All sizes are ready to ship and you can purchase easily via Pay Pal. Everywhere you go, take some of North Carolina with you! Best known for their “Elizabeth’s Exceptional Pecan Brittle”, this Turkey, NC pecan processor packages and markets a wide variety of pecans and related products. The brittle is truly special – it’s softer than standard brittle because it contains less sugar and more pecans … what a welcome concept and easier on your teeth! You can find Elizabeth’s Pecan Products at numersous east coast retail outlets and over 140 national grocery stores. Better still, visit their website to see the entire selection and order there – who wouldn’t love pecans as a holiday time gift, or come to think of it, at any time of year?? 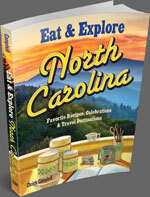 It’s one in a series of state themed cookbooks by Great American Publishing Company titled Eat and Explore North Carolina. This 270+ page resource not only includes recipes from some of the state’s most beloved restaurants, but also serves as a guidebook for traveling in The Tar Heel State. 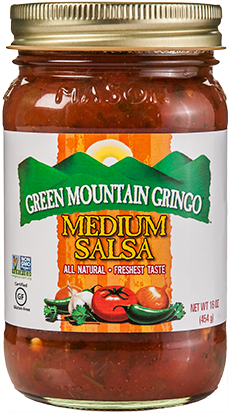 The salsa, known as Green Mountain Gringo and available for purchase at their online store, comes in five different varieties. Beyond the Mild, Medium, and Hot flavors, they also boast robust Roasted Chili and Roasted Garlic styles, both checking in with a medium heat level. 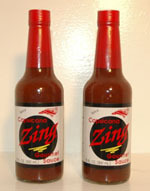 They’re great for any southwestern style dish … add some to your favorite chili recipe for a unique zesty zing! 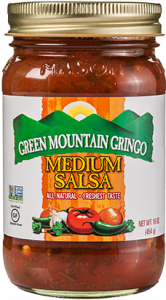 If you like to use salsa for dipping, try the company’s line of tortilla strips, available in Original, White Corn, and Blue Corn. Click through to their website to learn more. Tasty goodness from The Tar Heel State! One of the must stop attractions in the village is the historic Winkler Bakery, who offer some of their traditional treats via the Old Salem online store. 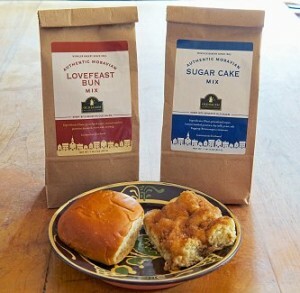 There you’ll find famous Moravian style cookies and an easy to prepare mix for the bakery’s legendary sugar cake. The baking mix contains flour, brown sugar, and cinnamon – all you need to add are eggs, butter, water, and sugar. The instructions are easy to follow and the cake is absolutely scrumptious! There are all kinds of other items available from their online store, ranging from food items to trades products to home and garden decor. A wonderful traditional North Carolina gift idea! 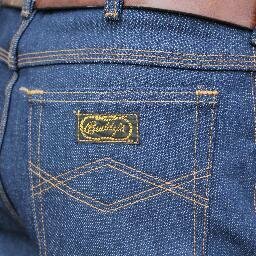 Buddy’s Jeans are made with durable American 14 ounce cotton and are approved for any type of hard work or play. You can buy them directly at their website and there’s helpful tips for measuring your proper size (it’s easy!). They’re available in Original, Relaxed Fit, and Cowboy Cut (a bit more room in the seat and thighs). Stylish jeans shorts and un-lined denim jackets are available too – take a look! 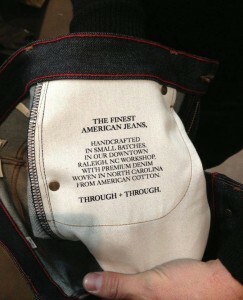 Raleigh Denim: We love companies bringing back the pride and craftsmanship to traditional American goods. In downtown Raleigh, one company is doing just that with one of the most iconic products known in this country – blue jeans! Using American ingredients and American know how, Raleigh Denim crafts jeans one pair at a time. Sturdy, stylish, and ultra comfortable, the jeans are available for both men and women in a variety of styles. Check their website for examples! You can also shop online at their website – a stylish practical and long lasting gift for yourself, direct from the heart of The Tar Heel State! Moravian Cookies, a specialty in the Winston-Salem area, are a unique thin wafer type cookie richly flavored with spices like cinnamon, allspice, and vanilla. Over the decades, flavors have expanded to include Pumpkin Spice, Meyer Lemon, Key Lime, and many more. They’re a real North Carolina treat! 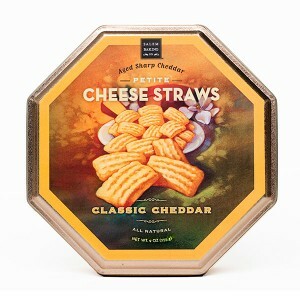 Cheese straws, of course, are a southern specialty and we love them! They’re made with real cheddar cheese, fresh butter, and wheat flour. A one of a kind flavor, the cheese straws from Salem Baking are especially good as they’re spiced with a touch of paprika and cayenne pepper! 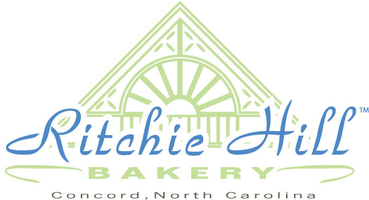 Several different varieties are available at their website, along with their many other baked specialties. A gift anyone will enjoy, direct from the heart of North Carolina! Goodness Gracie: Owned and operated by Sallie and Carter Price, this Wilmington based baking and specialty foods company has been growing steadily since being founded in 1995. Their original product, Heavenly Toffee Cookies, are a sweet, crunchy cookie based on a favorite cookie recipe of Sallie’s mother. 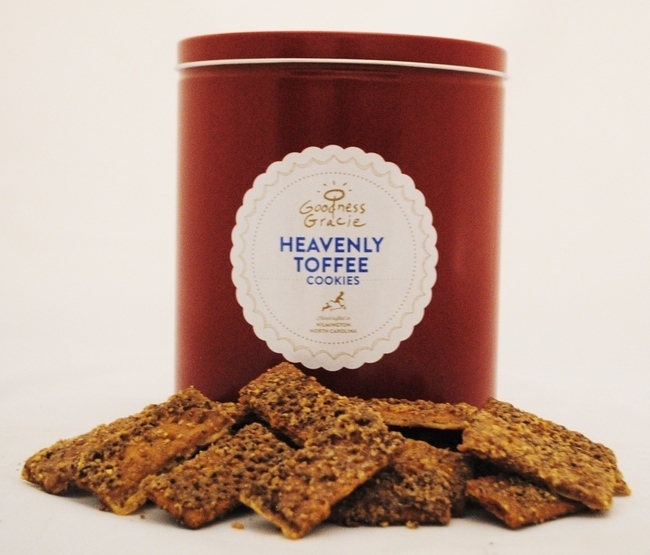 The toffee cookies proved so popular that they’ve ultimately come to be sold in over 40 states! In addition to toffee cookies available in four different varieties , Goodness Gracie also offers tantalizing snack mixes. Some of the flavors include Buffalo Blue Cheese Pretzel Bites, Cheddar Cayenne Crackers, and Cocktail Snack Mix. Holiday and gift tins are available in many different assortments for anything from special occasions to corporate and thank you gifts. Tasty gift ideas direct from beautiful Wilmington! 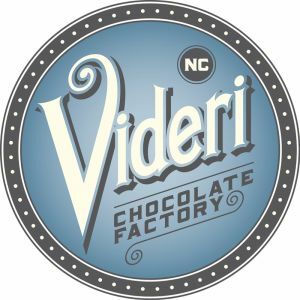 Videri Chocolate Factory: Housed in the historic Raleigh Depot, Videri Chocolate is best known for their “Flagship Four” Chocolate Bars – Dark Chocolate with Sea Salt, Pink Peppercorn, Classic Dark, and Dark Milk Chocolate. Featured in Southern Living, Travel & Leisure among others, the company proudly uses all organic fair trade ingredients. Their Pink Peppercorn Bar is deliciously unique – it’s a blend of 60% dark chocolate and crushed pink peppercorns to give it a zesty flavor. All of the bars are available in a convenient Flagship Four Gift Box, which you can find at the Videri Chocolate website. They also offer a Videri Direct option – four bars each month delivered direct to your doorstep in six or twelve month increments. If you’d like to find these gourmet chocolates locally in your area, check out the “Where To Buy” page on their site – you’ll find them all across North Carolina, in adjoining areas, and many other states around the country. A perfect gift from The Tar Heel State for the sweet tooth on your list! 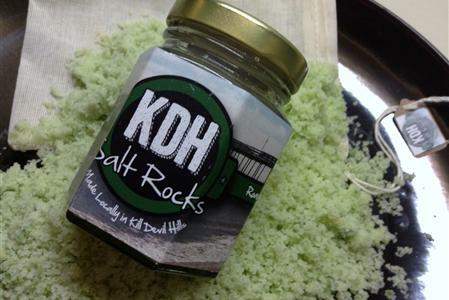 Harvested nearly every weekend of the year from the Atlantic Ocean at Kill Devil Hills, KDH Salt Rocks combines the naturally concentrated flavor of pure sea salt with locally grown spices and peppers. We were given a jar of their Roasted Jalapeno Sea Salt (pictured) and absolutely loved it. Because sea salt is much more concentrated than regular table salt, you can actually use less and experience more flavor! Sprinkle it on salads, sandwiches, burgers, or a fresh filet of fish as we did! KDH makes several varieties of sea salt and combination and gift packages are available – you can also order single packages of your favorite varieties directly at their website. 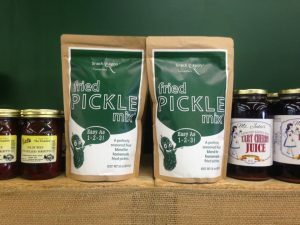 You won’t find a more local North Carolina gift than this – it’s perfect for the culinary oriented folks on your list. Enjoy! Big Spoon Roasters: Based in Durham, this is one fun company to follow as they’re always coming up with something new and different! Big Spoon Roasters makes a line of gourmet nut butters, fresh energy bars, and decadent dessert treats (can you say Peanut Pecan Oatmeal cookies??). 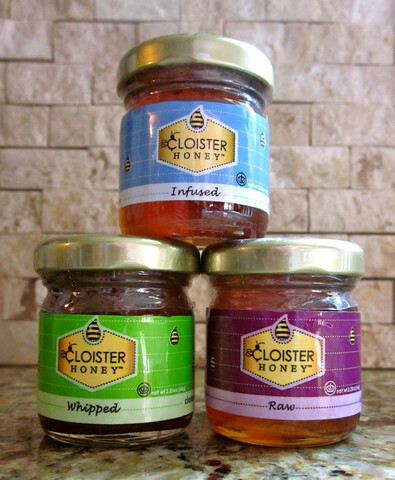 Founded by Durham’s own Mark Overbay, the company works directly with local farmers and honey providers to make truly North Carolina products. Peanuts, in fact, are a big deal in The Tar Heel State – did you know North Carolina ranks 6th in the U.S. in peanut production? 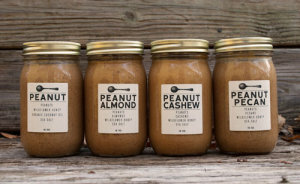 The photo shows four of the current ten varieties of nut butters produced by the company. 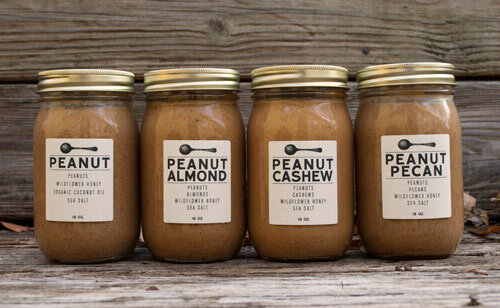 No palm oil is added to these natural nut butters to prevent oil separation. That means if you see some oil on the upper inside part of the jar, it’s completely natural – it’s from the nuts themselves! Just stir it back in and enjoy. Nut butters, of course, can be used just like traditional peanut butter – in recipes, on a traditional sandwich, or simply right out of the jar! Check their website to see some of the other varieties not shown – they’ve got a Peanut Cocoa Butter that sounds fantastic! If you’re looking for a fresh, locally made gift from the great state of North Carolina, you won’t go wrong sending a few jars of Big Spoon Roasters products. Buy directly at their website – the products are made every week depending on orders, so you’ll get something as fresh as can be! 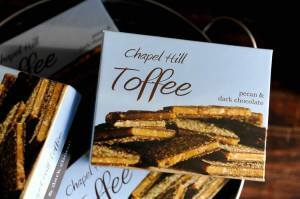 Chapel Hill Toffee: A family business founded in 2006, Chapel Hill Toffee draws upon the toffee recipe of Karen Graves, who decided to turn her hobby into a part time business. Her son Mark joined the business in 2008 to help it grow and expand, and Mark’s wife Christy came aboard four years later. The family’s toffee is now available in over 300 retail locations as well as their online store. Which goes to show – starting small with a great product can lead to big things! If you prefer to buy in person, be sure to check out the “Retailers” section of their website. There’s a drop down list of states which indicates where Chapel Hill Toffee is available in your area. Their distribution reaches from Florida to Oregon and many states in between! 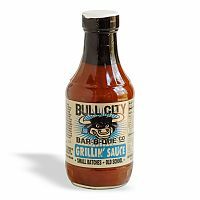 Bull City is also known for gift baskets for corporate gifts which include their line of sauces, rubs, and grilling sauce. There are several to choose from and they’re sure to be appreciated! Atkinson Milling Company: Located at the intersection of Highways 39 and 42 in Selma, NC, the Atkinson Milling Company has quite a history. It was founded in 1757 and remained property of the original owner’s family well into the 20th century. A traditional stone ground milling operation has been located here since before the American Revolution! The current mill is actually the second incarnation, the first having been decimated by fire in 1950. The company has been owned by the Wheeler family since 1971. This thriving traditional business now employs over 60 people and makes products like stone ground corn meal, muffin mixes, grits, breaders, and all sorts of specialty mixes. Mrs. Hanes’ Hand Made Moravian Cookies are the best known baker of Moravian style cookies in the United States. Over the past 50+ years, the company has grown to over 50,000 mail order customers located in each of the 50 states. The cookies are still made in the original fashion … hand rolled and cut, and packaged by hand. They’re made in six different flavors which are literally rolled into the cookie! Their signature cookie is the Sugar Crisp, and they also make Ginger Crisps, Lemon, Chocolate, Butterscotch, and Black Walnut. The cookies are exceptionally light, crispy, and bursting with flavor! Popular during the holidays as well as any time of year, Mrs. Hanes’ Moravian Cookies are a welcomed gift. 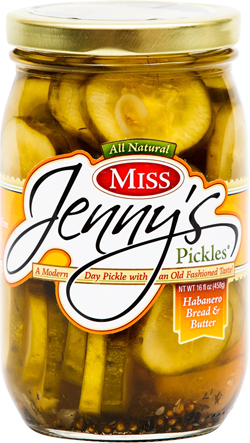 They’re made in Clemmons, NC and the company has always been family owned. They offer tours of their bakery through most of the year (except November and December) where you can watch the cookies being hand rolled and enjoy a few samples! The company makes and ships their specialty rum cakes all across the country. They’re delicious! You can order them in six different flavors – Golden Vanilla, Pineapple, Chocolate, Coconut, Cherry Chocolate, and Velvet Rum. 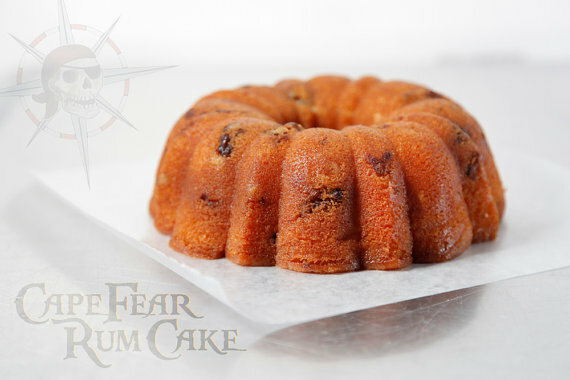 In case you were wondering, there is no alcohol content in a rum cake – it is burned off in the baking process, leaving only the distinct flavor behind! 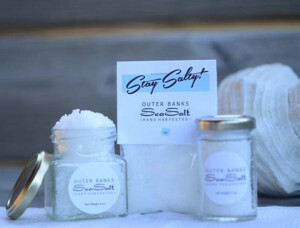 Outer Banks Sea Salt – A Great Gift! In North Carolina, there’s the Outer Banks Sea Salt Company. Their sea salt is harvested fresh from coastal waters off the Outer Banks and processed immediately. 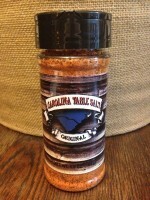 This is a true taste of the Outer Banks and makes a wonderful North Carolina themed gift! You can buy Outer Banks Sea Salt in attractive packaging in several different sizes. Once you start seasoning with sea salt, you’ll wonder what took you so long. Enjoy! Their signature products are fancy looking mason jar beverage glasses. 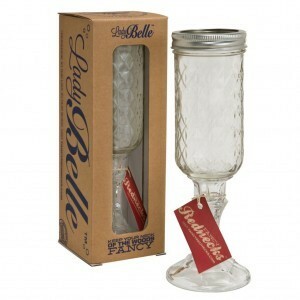 They come in a variety of styles, ideal whether you’re sipping wine or guzzling a cold beer! The company also makes a line of jewelry featuring .38 caliber bullets, camouflage hair bows and scarves, 12 gauge money clips, wearables, and more! From humble beginnings as a country store more than 75 years ago, King’s has grown to be one of the south’s largest restaurants. They entertain visitors from all over and can seat over 800 hungry patrons at a time. The restaurant serves over 8,000 pounds of pork and over 6,000 pounds of chicken per week! The restaurant is justifiably famous for the King’s BBQ Sandwich, featuring hand chopped bbq pork piled high onto a bun and topped with creamy cole slaw. Ribs and smoked chicken are legendary as well, and having been to King’s, it’s fair to say wherever you are, it’s worth the trip! Three Juiced Bootleggers: Three Juiced Bootleggers is a Tar Heel State company making specialty moonshine, marinade, and their own clothing line! Yup, quite a combination! The marinade’s main ingredient is molasses, a traditional North Carolina grilling staple that provides a slightly sweet and sticky coating to your grilled meats. Use it liberally on any cut and marinade it in a sealed plastic bag for a couple of hours. You should brush it on while grilling and once again when the meat is cooked to your desired “done level”. Use it as a dipping sauce too! Carolina Table Salt: Carolina Table Salt is the signature product from the husband and wife team of Michael and Geena Woodard. Based in Charlotte, they started the business after their wedding. Michael had developed a rub based on his family’s eastern North Carolina roots and Gina added some Lowcountry flavors. The result, named Carolina Table Salt, was handed out as wedding favors and soon after, a business was born! You can order Carolina Table Salt in packages of one bottle, three bottles, or twelve bottles. It’s a great locally made gift item too! You can also order trout sausage patties, a healthy alternative to standard sausage or bacon. They’re great when served with eggs and make a fine substitute for meat in just about any dish! 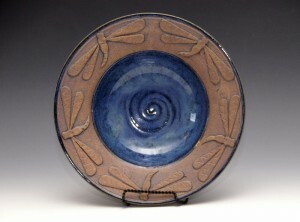 Kyle has been creating pottery since 2002. His work is varied, and consists of serving dishes, decorative home ware, beverage servers, vases, and more. All of his pieces are fired in a salt kin and hand painted. 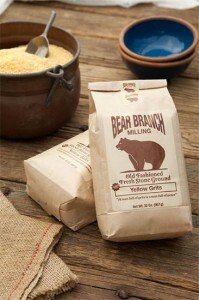 The mill produces natural grain based products like yellow and white corn meal, grits, and whole wheat flour. The grains are grown and milled here in North Carolina. They’re very nutritious and gluten free! A great gift idea for the culinary inclined person on your list, or just for you! Figs and Ginger also create rings, wedding and party items, guest books, earrings, and more. You can find their works at museum shops, catalogs, specialty retailers, and of course online at their site. 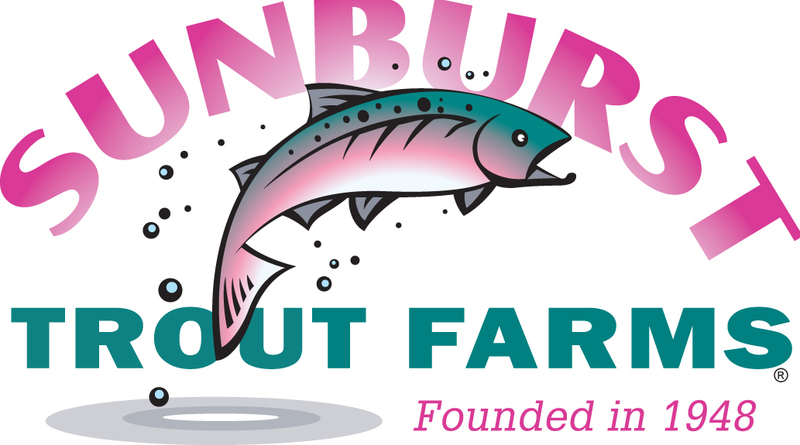 Be sure to check out all they do … the handiwork is beautiful! Long Family Farms offers their goat’s milk soaps and other body care products online … check their website for details. 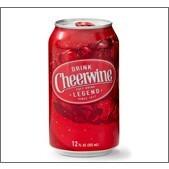 Cheerwine: If you’ve never heard of Cheerwine, you’re definitely not from North Carolina! Cheerwine is available via mail order in bottles and cans and in regular and diet varieties … it’s like having a bit of North Carolina in your refrigerator! Bakers Blister Fried Peanuts – Crunchy! If you like a crunch to your peanuts, you’ll love these! They also make a spicy version called Carolina Cajun that aren’t overly spicy or hot, but with just a little zip. 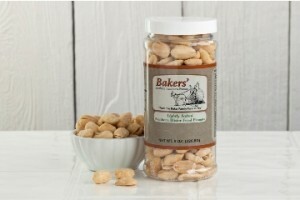 You can order any of Bakers Peanuts online … they also offer some really nice combo gift packages! 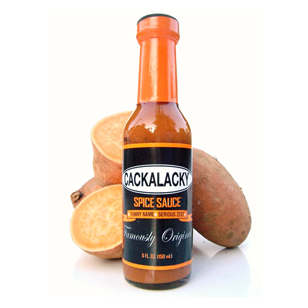 Cackalacky Sauce: As you probably know, North Carolina is famous for its barbecue. Even within the state, there are two distinct styles … one made in the eastern part of the state and one in the west. So it stands to reason there’d be all kinds of interesting sauces made in The Tar Heel State. 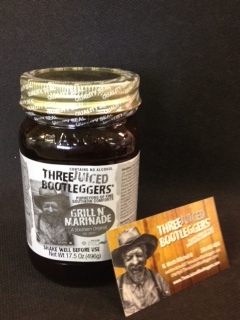 Not just bbq sauces, although there are many outstanding ones to choose from. But there are other sauces too … sauces you can use as a marinade, as a basting sauce, or even drizzled over your favorite main dishes and appetizers. The end result is a sauce you can use on any meat imaginable, either as a finishing sauce, a glaze or a marinade. We like to pour it directly on to a pulled pork sandwich … oh yeah! Demand for additional products soon followed, and now you can order not only the Original, but a hot version, a sweet and mild version, and a special poppy seed dressing. 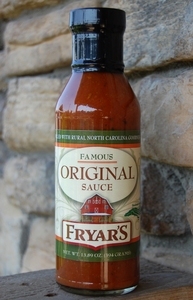 Fryar’s offers gift baskets too … a great idea for the bbq lover in your lift who wants to try just about every great sauce there is (like me)! Three varieties are available, all of which you can buy online. There’s the original, a gourmet sauce, and one called Town and Country sauce which is a little sweeter. All three have a bit of a bite to them, but they’re not overly hot. 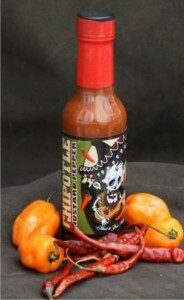 We would best describe the flavor as part sweet and part hot. 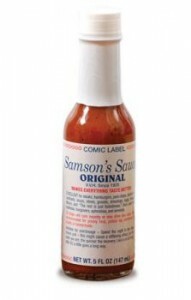 The Samson Sauce tagline is 100% correct … “It Makes Everything Taste Better”. Order some for yourself and see! 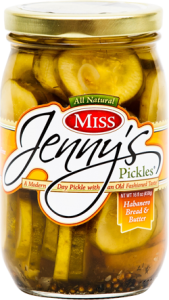 They make all the traditional pickle varieties, like bread and butter chips, and a few specialty types like habanero bread and butter and salt and pepper pickle slices. 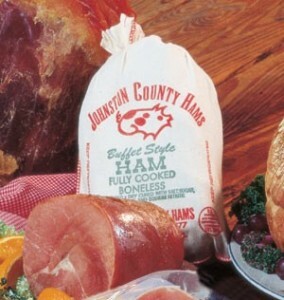 These cured hams are renowned … they were recently featured in Men’s Journal on their list of “100 Best Things To Eat In America”. High praise indeed! They’re perfect for holidays, birthdays, corporate clients, or just as a special “thank you”. What a great gift from North Carolina! Scott’s BBQ Sauce: Scott’s BBQ is located in Goldsboro, the heart of eastern North Carolina barbecue country. 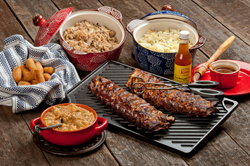 You may be aware there are two different styles of barbecue in the Tar Heel State … eastern North Carolina style and central style, from the area around Lexington. The primary difference between the two styles is in the eastern part of the state, they use the whole hog, whereas the central style utilizes the pork shoulder. The other major difference is in the sauce … central style uses ketchup as a base, whereas the eastern style is vinegar based. Scott’s has been around for almost a century (since 1917) and has long been considered an eastern North Carolina barbecue staple. They ship over one million bottles of their sauce every year … and if you haven’t tried it yet, what are you waiting for? ?